The Pub is a piece of personal work done as a tribute to the game Final Fantasy Tactics Advance. 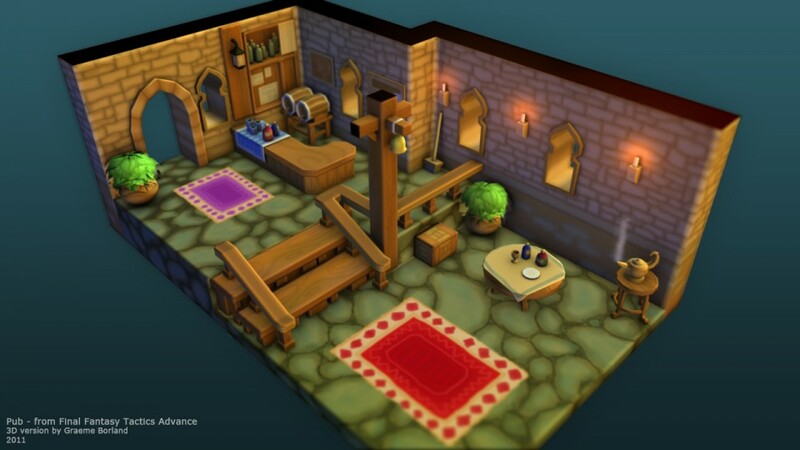 It is a 3D interpretation of an environment from the game, using only the original pixel art from the game as reference for both geometry and mood. Care was taken to model out individual objects as accurately as possible, even though in certain cases an object in the original sprite-based environment would have only a few pixels of visual information as reference.